Clearing unwanted furniture or white goods from your house can be difficult if you don’t have a van on hand. That is why we offer affordable Crofton Park rubbish disposal packages to households in and around the SE4 area. 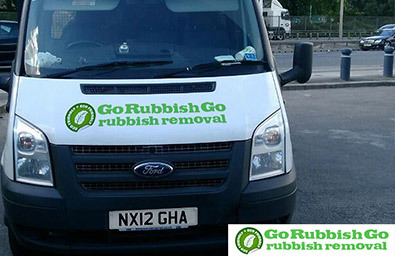 With everything from small waste pick-ups to large packages available, we at Go Rubbish Go can take care of almost anything that you need. So if you don’t have time to wait for a council collection or for an Ebay sale, ask our experts to come round and take away your junk instead! Our rubbish clearance SE4 services are cheap at half the price and can save you from any unwanted hassle or delay. So if you want to know more pick up the phone and call 020 8610 9182 now. Our team will be happy to give you a free quote with no obligation required. If you’re wondering how we can offer exceptional services at rock-bottom prices then wonder no more! We have low overhead costs and an incredible team of workers who can work faster than any other team in the local SE4 area. This means that not only can we keep our costs down but we can do more work than anyone else. Our waste disposal Crofton Park experts are also fully-trained and can make light work of any SE4 waste clearance project. With many years of experience, we can guarantee you an outstanding service with competitive, local prices. Don’t believe that we can be much cheaper than everyone else? Then call us on 020 8610 9182 today to find out for yourself! What Makes Our Waste Collection Team in Crofton Park So Good At What We Do? Wondering what makes us so good? Then check out our incredible range of rubbish removal packages! With great one-off services for house clear-outs and everyday waste collection in Crofton Park to comprehensive packages for regular commercial collections, we have a package for everyone. With our incredible prices, we can even guarantee you incredible value for money each and every time you book one of our deals. In addition to this, we also have a professional team of experts who do everything they can to make your Crofton Park, SE4 waste removal as stress-free as possible. 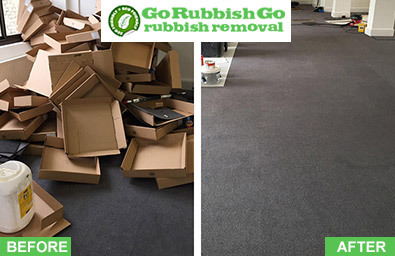 Unlike other firms in Crofton Park, Go Rubbish Go never take our customers for granted and will always make sure that you have all of the support you need to manage your house refurbishment or garden makeover. My garden in Crofton Park was a real tip after some landscape gardening I did and I wanted to hire someone to clear away all the waste and debris. A friend told me about this company and their excellent waste clearance services for SE4 and I gave them a call. Their team was on the job on the same day and soon all the waste was gone. Thank you so much! 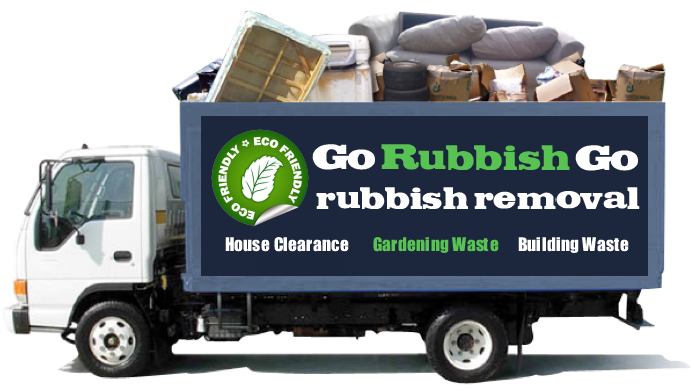 Do We Offer Low Cost Rubbish Removal SE4 Packages? 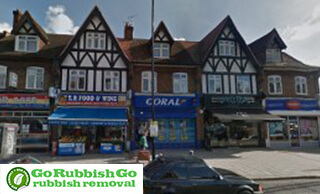 Our rubbish removal SE4, Crofton Park services are also popular with businesses in the local area and can provide a vital amount of support for local retail outlets, offices and factories. Our services include regular collections, one-off jobs and Crofton Park waste removal SE4 and can even include the disposal of hazardous items or confidential papers. So if you want to enjoy excellent services at affordable prices, ask our team for a free quote now. Our services are always guaranteed to impress and offer incredible value for money week in and week out. To hear some of our success stories, check out our customer testimonials. 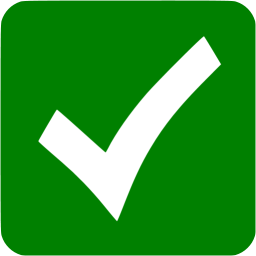 We have a proven track record and excellent customer satisfaction levels! If you’re concerned about what happens to your waste after it is collected then don’t be! We guarantee to recycle as much waste as we possibly can, keeping landfill to a minimum and looking after your local community. So if you want to make sure that your waste is disposed of in an environmentally-conscious manner, call us on 020 8610 9182 to book your SE4 rubbish removal Crofton Park now! We have the highest recycling levels in the local area and are continually searching for new and innovative ways to keep excess waste down. Our state of the art facilities help us to dispose of your unwanted junk or waste in an eco-friendly way, meaning that there’s less work for you to do when you’re sorting out your rubbish! Hire us for rubbish disposal in SE4 and say goodbye to rubbish! Crofton Park is an area found in the London Borough of Lewisham. It is now mostly residential and it bears the SE4 and SE23 postcode districts. The area’s most significant buildings in the past were Brockley Farm, Brockley Jack public house and Brockley Hall. Crofton Park expanded rapidly in the 19th century because of the opening of a new railway line which was known as the Catford Loop. The Crofton Park railway station was opened in 1892 and it actually gave the name of the area. Some of the notable buildings in the district include the Crofton Park Library and St Hilda’s Church. Crofton Park Football Club is the local football club.